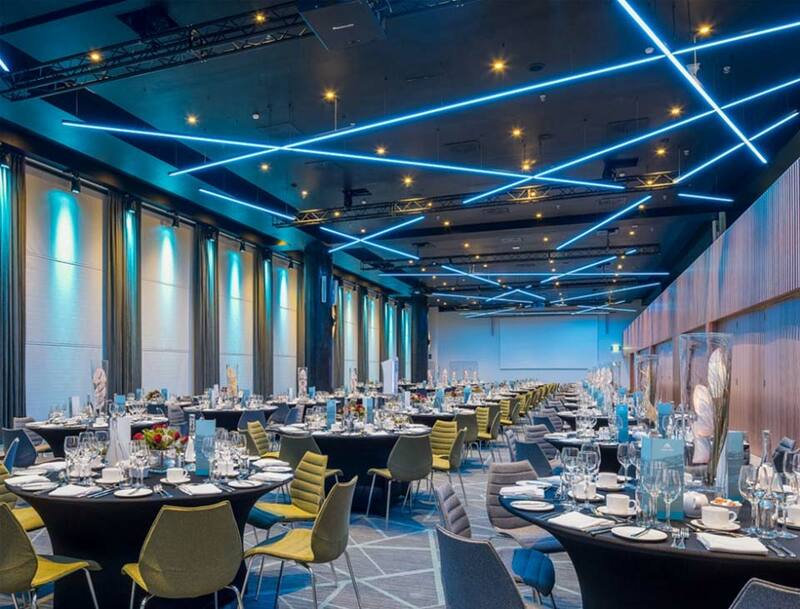 Cine Electric were tasked with providing a flexible technical infrastructure for The Hogan Suite that would facilitate the various events that were held within it. The infrastructure consisted of 7 No 10m Trusses located along the room with both mains and DMX circuits disturbed to each Truss. Works included the supply of the specialist facility and control panels as well as Patch Bay and DMX Distribution. Also supplied was a stock of LED fixtures to light the room in a corporate client’s colours or when a game is on and the suite is utilised by supporters, the room can be coloured in the colours of the opposing counties at a simple push of a button.